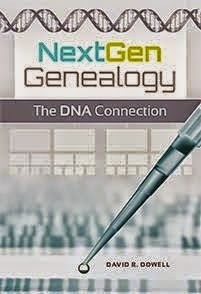 Dr D Digs Up Ancestors: First Week of February -- A Treat for Genealogists? First Week of February -- A Treat for Genealogists? Genealogists on the California Central Coast are in for a treat the first week of February--at least some of us are. 1. On Tuesday February 1st, I get to start teaching my European Genealogy Research class. 2. On Friday February 4th, NBC airs the first episode the second season of Who Do You Think You Are? at 8:00 PM featuring Vanessa Williams. Seven other episodes will feature Steve Buscemi, Kim Cattrall, Ashley Judd, Tim McGraw, Rosie O'Donnell, Gwyneth Paltrow, and Lionel Richie. 3. On Saturday February 5th, the San Luis Obispo County Genealogy Society sponsors a Family History Day featuring 4 presentations by George Ott, a Salt Lake City based genealogist who is extremely knowledgeable and a very good presenter. 4. On Sunday February 6th comes the Super Bowl. The Bears didn't quite get there this year, but Joyce and Harold's annual Super Bowl party is always the social highlight of the year on Laurel Avenue in Morro Bay. If you don't live on the Central Coast, you can still watch Who Do You Think You Are? and the Super Bowl. Remember the ads on the Super Bowl are sometimes better than the game. You can also take the Pictures In History challenge. Have a great week where ever you are!